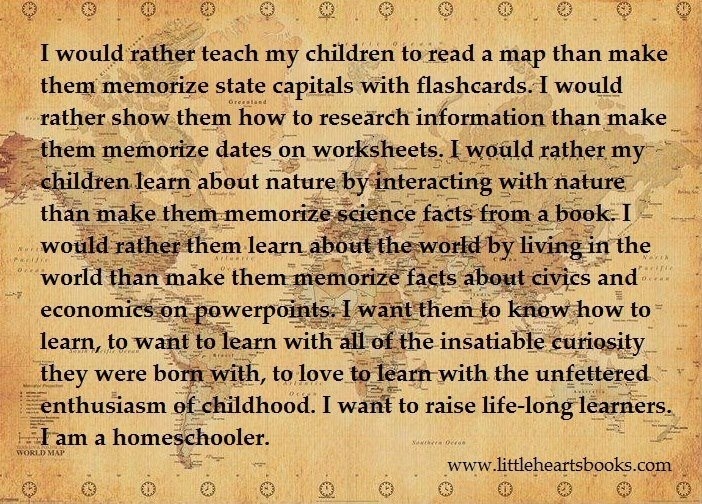 I could create a pretty long list of what I love about homeschooling. However, this post is specific about today. Monday mornings we have started going to the park for a couple of hours of play. While I would love to do this on a daily basis, Mondays are the only day of the week where we typically don’t have anything else going on. So we head to the park, come home, have lunch, then do school work. Most days, the girls get thru their school work within a couple of hours. Some days it take longer. Then there are days like today. One struggles and her anxiety gets the best of her. The other just can’t stay focused. We try to push thru, but the truth is, neither of the girls can learn well under these circumstances. Instead of forcing either of them to push thru, we simply ended our day. As adults, we go thru the same thing. We can’t focus on work. We’re feeling stress about work or something outside work that doesn’t allow us to be as productive as we need to be. We’re tired. We’re bored. We need a break. We need a vacation. Kids aren’t any different, except they aren’t physically, mentally or emotionally mature enough to push thru. Sometimes, what they really need is a day to unwind. They need time to focus on something else. In some cases, they need more physical activity to shake off the cobwebs. Many times, they need to ignore the books and learn by being outside. Maybe they need to go to a museum or the zoo. Maybe they need to paint or draw or play a board game. Apparently, living in Texas means that on October 17th, it’s near 90 degrees. The girls completed as much school work as their bodies and minds would allow and are now very happily swimming and playing in the pool. They weren’t forced to doing more than they were capable of doing today and I’m not in the least bit worried that they’ll fall behind as a result. After all, tomorrow is a new day and after a day of additional exercise and hopefully a good night of sleep, they will likely be in a much better place to focus and learn. If not, we’ll switch it up and doing something more fun and exciting. Regardless, they still be learning, but they’ll be learning because their minds and bodies are where they need to be to learn. Flexibility and understanding is what each of them needs to be successful. After all, my role in all of this is to teach them how to become life-long learners. That doesn’t require sitting at a table or desk with their noses in book.